If getting organized was one of your New Year’s Resolutions, you aren’t alone. January is National Get Organized Month- and for good reason. 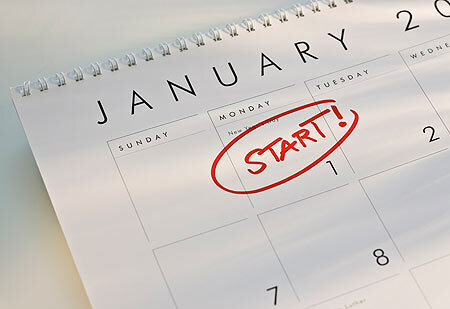 Every New Year’s, thousands of us vow to make getting organized a priority. From our finances, closets, and even kitchen cabinets- almost everyone has some area in their life in which they’d like to clean up their act. Stick to A Plan– There’s an adage that simply says, “If you fail to plan, you plan to fail.” And in so many ways, it’s absolutely true. Getting organized requires that you start with a plan- and stick to it! Identify the specific areas in your life that you’d like to get organized in, and develop a step-by-step plan for addressing them. If you’re unsure of where to start, or need some help developing your plan, check out this great article on goal setting by world-renowned motivational speaker and training expert, Zig Ziglar. Be Realistic– Rome wasn’t built in a day. And your all-new organizational system won’t be either. Change takes times. So don’t set yourself up for failure by setting unrealistic goals that will only lead to frustration. Break down your plans into hourly, daily, weekly, or even monthly goals. This way you know exactly what you’ll need to do to to achieve your plan, without becoming totally overwhelmed. Don’t Quit– One of the easiest things in the world to do is quit. Many of us give up on ourselves before we’ve even had a chance to fully develop our new positive habits. No matter how hard the process gets, don’t stop. Even if you fail more than once, just get back to it. Remember, getting organized is often one of the first and most important steps you can take to achieving new levels of success in every area of your life. It’s a new year and a great time to get organized. So what are you waiting for? What areas of your life could stand reorganization? Which spaces in your home or office could use some decluttering? Let us know on the Retro 51 Fan Page. There is an actual month for organization? I had no idea…I think most people would say the same thing. Good tips here – many of them I try to keep in mind when I clean up and get organized at home. I wish I could say the same about being so organized at work, but it just seems to get away from me as well as my co-workers since we work in cubicles close to each other and messes bleed into each other. We’re lucky, I guess, that our boss is pretty forgiving concerning the mess and sometimes has a sense of humor about it. Example – she sent all 3 of us a link to an online, messy cubicle contest called ‘Pimp My Cube’ and then left a feather duster on each of our keyboards.